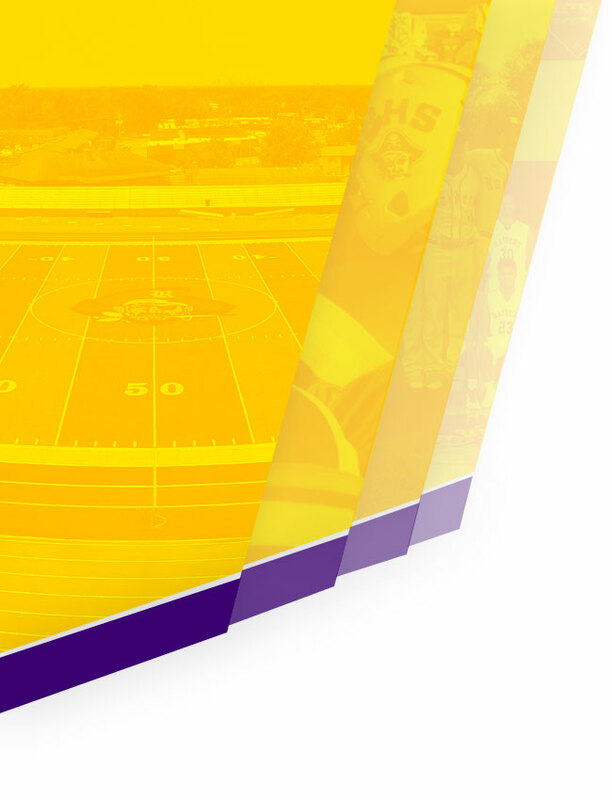 REYNOLDSBURG, OH – Despite a very good 8-3 record for the Raiders in the first half of the regular season, Reynoldsburg’s goals for the second half of the 2018-19 regular season were pretty simple: do better than the first half. With their four first-time varsity starters growing up before our eyes and senior guard Ben Fort leading the way, you can say the Raiders have done just that. Following a 64-52 loss at division foe Pickerington North to open up January, the Raiders (15-4, 5-3) would not lose again in the first month of 2019 and reel off eight wins in their next nine games. While what ended up being a seven-game win streak would ultimately be snapped on the first day of February in a hard-fought 56-50 loss at arch-rival and AP 4th-ranked Pickerington Central, Reynoldsburg’s drastic improvements in the second half of the regular season will most certainly set the Raiders up for postseason success. Given Reynoldsburg’s rapid improvement of its backcourt on offense in January in addition to its continued strong play in the frontcourt, on overall defense, and at the free throw line, these defending district champions are emerging as contenders to repeat again one year later. The Raiders still have time to tune up all aspects of their game that has made them successful so far, and address any major areas of improvement with three games in go in the regular season. These Raiders would end up peaking at the right time last season, and things are again continuing to trend upwards for this Reynoldsburg squad one year later when it matters most, as they continue to improve with every regular season game that goes by. As Reynoldsburg heads into a critical marquee Friday night rematch against Pickerington North in their final home game of the 2018-19 regular season, here is a brief recap of each of the Raiders’ eight games of the second half of the regular season to help you get caught up with all of the recent action, along with an outlook of the Burg heading into the postseason. Coming off an 8-3 record in the first half of the regular season and a 44-38 win over Zanesville three nights prior, Reynoldsburg found itself in another low-scoring affair at home against New Albany and had trouble making shots from long range. But with how the Raiders dominated offensively in the paint and defensively overall, their three-point woes did not really make a difference. After the Eagles went up 6-5 on a layup for its only lead of the game, Ben Fort would quickly answer at the other end with 5:20 to go in the opening period to give Reynoldsburg the lead for good. The Raiders defense would then hold New Albany without a field goal for the remainder of the quarter, forcing three turnovers in the process on the way to eight unanswered points for the offense and a 17-7 lead at the end of the 1st quarter. Senior forward Sahmi Willoughby and junior guard James Dean would then each score from under the rim to open up the 2nd quarter, and the Eagles would finally get a field goal with 5:43 to go in the half to break their scoring drought. Although New Albany would eventually go on a 7-2 run in the final 2:34 of the half that resulted in a 29-19 lead for the Burg, the early damage by the Raiders was too much to overcome. Despite not making a single three-pointer in their first three quarters of play, the Raiders continued to dominated in the paint coming out of the locker room, extending their lead to 44-27 after the 3rd quarter while holding the Eagles to only three field goals in that period. Reynoldsburg would eventually break their drought from behind the arc in the 4th quarter after missing their first eight attempts from long range, as senior guard Xavier Prince and freshman guard Cooper Davis would both hit their attempts from downtown to wrap up the game and an eventual 56-40 victory over the Eagles. Willoughby, Fort, and junior forward Sean Moore each would score double figures and combine for 36 points in Reynoldsburg’s win. With their win over the Eagles, the Raiders improved their record to 9-3 overall. After making only 20% of their three-point attempts in their win New Albany, the Raiders were looking to improve upon that output at home in an OCC-Ohio division matchup against Lancaster. Not only did they nearly triple that percentage; Reynoldsburg’s huge performance and particularly behind the arc would be a good sign of things to come in the month of January and beyond. Reynoldsburg would blow the game open early, with Ben Fort scoring two buckets in the paint and one from downtown, and sophomore guard Josiah Mobley connecting from long range to give the Raiders a 10-0 lead just over halfway into the opening period. Mobley would eventually hit again from long range to close out the 1st quarter to give the Raiders a 21-4 lead, as Reynoldsburg would hold the Gales to only two field goals. The Gales would open the 2nd quarter with six straight points to cut Reynoldsburg’s lead to 11 with 6:22 to go in the period, but Lancaster would get no closer after another offensive explosion from the Raiders. A dunk by Sahmi Willoughby, a three-point basket by Cooper Davis, a putback bucket by Willoughby, and four straight points by Xavier Prince in a span of just under three and a half minutes would be part of an 11-0 scoring run for the Burg to extend the Raiders’ lead to 32-10 with 3:01 to go in the half on the way to a 33-13 halftime lead. And against the Gales, the Raiders began to make it rain out of the locker room. Ben Fort would score from down low to open the 3rd quarter, and then Prince, Mobley, and Fort would each score from long range on consecutive possessions by Reynoldsburg to extend the lead to 44-15 just under three minutes into the period. With the Raiders leading 50-23 after three quarters and both teams alternating scores, Cooper Davis would hit from downtown with 5:45 to go to extend the lead 55-27 cap off a night in which the Raiders shot 8-for-14 (57%) from three-point land: their best performance of that nature of the season by far up to that point. The Raiders cruised to a 59-35 victory as a result, with Fort scoring 16 points to lead the Burg, Willoughby adding 10 points, and Mobley scoring 9 points on three made buckets from downtown. But the Raiders’ performance in the backcourt was something the team was desperately looking for even despite what had already been an excellent start to the 2018-19 season up to that point. As a matter of fact, and based on what is explained in subsequent game recaps below, it would arguably be a turning point for the entire season. With their big home win over Lancaster, the Raiders would improve to 10-3 overall and 3-2 in the OCC-Ohio division. A month and a half both of these teams met in Reynoldsburg’s thrilling home opener: a 58-53 win by the Burg over Gahanna-Lincoln after the Raiders ended that game on a 30-16 scoring run, they would play in a highly-anticipated rematch on the Lions’ home court. Despite a week off in between games for Reynoldsburg, the Raiders didn’t seem to cool off from behind the arc in what ended up being another close game throughout the entirety of the contest. But it was a late, clutch three-pointer that was the difference for Reynoldsburg in addition to a couple of late defensive stands. The game would be tied 17-17 after one period, and Reynoldsburg would lead 30-28 at the break as well as 40-39 after three periods. With the Lions eventually taking a 50-47 lead over the Raiders with 1:31 to go in what was a rematch that lived up to its hype the entire way, the Raiders would score to cut Gahanna-Lincoln’s lead to one point. The Lions would then go to the free throw line with 47.9 seconds to go in regulation. While they would make their first of two resulting free throws to go up by a score of 51-49, the Lions’ second attempt would rim out and fall into the hands of Reynoldsburg’s Xavier Prince. Little did anyone in a packed gym with empty seats (since everyone was standing) know that their made free throw would be the Lions’ final points of the night, and that it would set the stage for a dramatic ending. The Raiders would take the ball to the opposite end of the court, and Prince would pass to Sahmi Willoughby in the paint for what could have likely been a game-tying bucket. Instead, Willoughby passed the ball towards the left corner of the arc where Josiah Mobley was waiting. Mobley would quickly catch and shoot a contested go-ahead three-point ball that would hit nothing but net on the way down, resulting in loud cheers from the visiting crowd, a stunned Lions home crowd, and a full timeout called with 24.6 seconds to go and the Raiders up 52-51. Gahanna-Lincoln would inbound the ball following the timeout, dribble up the court, but the Lions’ go-ahead layup attempt would be rejected in the paint by Willoughby. Junior guard Nick Wallace would then fall on top of the loose ball and call timeout for Reynoldsburg, giving the Raiders the ball back with 9.6 seconds to go. Mobley would then be quickly fouled with 8.4 seconds to go and the Raiders still up 52-51 following the inbound pass, resulting in 10 fouls for Gahanna-Lincoln and two free throws for Mobley due to the resulting double bonus. He would miss both free throws with Gahanna-Lincoln getting the rebound and calling a full timeout with 7.2 seconds to go. The Lions would have one more chance to win the game, but as the old adage goes, you cannot have a championship team without a championship defense. And the Raiders again showed why their defense and second-best scoring defense (in terms of average points per game allowed) amongst all teams in all divisions of the Ohio Capital Conference should indeed be called just that. Gahanna-Lincoln would inbound the ball, quickly get to the opposite end of the court in the game’s final seconds, complete a pass from half court to behind the right corner of the arc for a potential game-winning three-pointer as time expired in regulation. Just like on the Lions’ last possession, however, the Raiders would get another block with Wallace getting a hand on the ball, and the Raiders would hold on for a monumental 52-51 victory to cap off a regular-season sweep of a stunned Gahanna-Lincoln. With their huge victory, the Raiders would improve to 11-3 overall and 4-2 in the OCC-Ohio division. Coming off the huge road win at Gahanna-Lincoln, Reynoldsburg would travel to Westerville South three nights later looking for their third straight win in as many seasons over the Wildcats. It was a close contest the majority of the way, and Westerville South trailed by a single point multiple times in the second half. However, the Raiders would find ways to get key stops at the perfect times, and would never trail thanks to another strong performance in the backcourt. While Reynoldsburg would only score 12 points in the opening period and be held scoreless in the final 2:45 of the 1st quarter, that would be enough for them to lead by three as the Raiders’ defense only held Westerville South to two field goals. A three-pointer by Nick Wallace was the difference in the 12-9 opening-period advantage in favor of the Burg, and after the Wildcats opened the 2nd quarter with a layup to get within one point of the Burg, they would miss a fast break layup and would pay for it. Wallace would then pull up from long range at the other end and hit nothing but net, and a pair of free throws by Sahmi Willoughby on the next Raiders possession would swing the scoreboard in favor of Reynoldsburg. With the Raiders up 17-11 just over a minute and a half into the 2nd quarter, while Wallace and Ben Fort would each add layups for Reynoldsburg, the Wildcats would finally connect from downtown and on consecutive possessions. Westerville South would then add a layup to cut Reynoldsburg’s lead to 21-19 with 4:02 left in the period, and despite the Raiders turning it over on the next possession, the Wildcats would come up empty to keep the Burg in front. Josiah Mobley would then hit the Raiders’ third bucket from downtown, and a basket by Sahmi Willoughby from down low would extend the lead to 26-19 with 1:35 left in the period. This would prove big as the Wildcats seemed to find their groove from behind the arc, as Westerville South would then score five of the half’s final seven points, giving Reynoldsburg only a 28-24 lead at the break. Westerville South would again quickly get within one score early in the 3rd quarter thanks to another bucket from behind the arc, but with the Raiders up 32-30 just under two minutes into the period, Reynoldsburg would appear to break the game open with an 11-5 scoring run to go up 43-35 with 2:15 left in the period after a layup by James Dean. Wallace would score six of the Raiders’ fifteen points in the period, however, reaching double figures with over a quarter to play and helping give the Burg breathing room. However, Westerville South would not go away. The Wildcats would score seven unanswered points in just under two minutes, again cutting Reynoldsburg’s lead to one point. But as the horn sounded in the 3rd quarter, Mobley would then hit a three-pointer as time expired to put the Raiders up 46-42 to end the period, and he would then open the final period with another big bucket from downtown. Mobley’s last two shots from the final buzzer in the 3rd quarter to the beginning of the 4th quarter proved to be a pivotal moment against Westerville South. With the Raiders up 53-48 with 5:08 to go after layups by Sean Moore and Xavier Prince, untimely turnovers and misses at the free throw line contributed to a Reynoldsburg scoring drought. Westerville South would hit a three in transition after a Raiders turnover to cut Reynoldsburg’s lead to 53-52 with 2:23 to go. Without Mobley’s two big buckets, while the Raiders likely would have been capable of finding a way to win given clutch performances late throughout the entire season so far, the Raiders would have trailed by five and the tone of the game likely would have been a lot different for the Burg, as Westerville South would have had even more momentum in front of its home crowd. Instead, the Raiders maintained their lead, closed the game out from there, and Westerville South would get no closer. Wallace would get a layup for the Burg, the Wildcats would miss from downtown, and Willoughby would hit two free throws at the other end after the resulting foul to extend Reynoldsburg’s lead to 57-52 with 1:34 to go. Westerville South would then attempt two three-pointers on their next possession that would not fall, and Wallace would then get a huge rebound to help the Raiders ice the game. After missing the front end of the one-and-one after being fouled, he would get his own rebound and eventually put Willoughby at the line for a split pair of free throws. Wallace would cap off a team-high 18 points with a late bucket plus a foul and a free throw of his own, as the Raiders would hold Westerville South without a field goal in the final 2:23 on the way to pulling away for a 61-53 victory on the road. Since losing 81-46 in this venue to open the 2015-16 season on 11/27/2015 against a state-championship winning team that had two brothers by the name of Andre and Kaleb Wesson (who, by the way, both currently start for Ohio State), Reynoldsburg has now won three straight contests over Westerville South with two of them coming on the road, including the victory this season. With the road win and their fifth victory in a row, the Raiders would improve to 12-3 on the season. In the Raiders’ 2018-19 season opener, the Raiders would win by a score of 71-37 over Legacy Christian Academy. Since that 34-point victory two months ago, Reynoldsburg had not scored any more points in a game than their 71 total points scored against the Knights, and the majority of their games were a lot closer in comparison. Fifteen games later, the Raiders would get a home division rematch against a Grove City team that they had beaten on the road by a score of 68-53 on 12/14/2018, but were still looking for a complete four-quarter performance in the 2018-19 season in addition to a regular-season sweep of the Greyhounds while maybe matching their first game’s performance on offense. In arguably their best all-around performance of the season, the Raiders managed to do all of the above, even despite trailing for the first half of the opening period. A couple of early turnovers kept the Raiders scoreless, while Grove City scored the first two buckets of the game before Nick Wallace got the Burg on the board from behind the arc, giving the Raiders only a 4-3 deficit with 5:02 left in the opening period. The Greyhounds would then quickly answer from downtown, Xavier Prince would hit a pair of free throws for the Raiders, but Grove City would split a pair of free throws to take an 8-5 lead over Reynoldsburg with 4:02 left in the 1st quarter. But Reynoldsburg’s slow start would be quickly forgotten and forgiven. Wallace and Prince would quickly score on back-to-back possessions with Grove City missing from down low in between to give the Raiders the lead for good. Prince, Sahmi Willoughby, and Ben Fort would each combine for what ended up being 10 unanswered Raiders points in just under two minutes, giving Reynoldsburg a 15-8 lead with 2:06 left in the period. Both teams would come up empty for the remainder of the 1st quarter to keep the score this way after one period, but Grove City would be held scoreless in the final 4:02 of the opening quarter and for about six and a half minutes overall between the first and second periods to put them in a hole too far to overcome. Including a pair of three-pointers to open the 2nd quarter by Sean Moore, who came off the bench for Reynoldsburg and scored all eight of his points in this period, the Raiders would ultimately score 16 unanswered points between the 1st and 2nd quarters before two triples by Grove City broke the Greyhounds’ scoring drought with 5:35 left in the 2nd quarter. Leading 23-14 at this point, Reynoldsburg would end the first half on a 16-7 scoring run and score twelve of the fourteen overall points combined from both teams that came in the final 2:26 of the first half alone. Fort would hit two buckets from behind the arc in this timespan, including one as time expired in the half to put him at 10 points to lead the Raiders in the first half and give Reynoldsburg a 36-19 lead going into the locker room. Both teams would split the scoring early in the second half, but Grove City would only be held to a field goal and a pair of free throws to keep the score at 41-25 in favor of the Raiders with 5:56 left in the 3rd quarter. Willoughby would reach double figures for Reynoldsburg on the game’s next score just under a minute and a half later, and this would begin a 19-3 scoring run by the Raiders to end the period. Grove City’s only bucket of the 3rd quarter came from a three-pointer off of a timeout, while five different Raiders contributed in the aforementioned scoring run. Moore would hit two triples, including one as time expired in the period, while junior guard Shon Strickland would add four points, Fort would add three points, and James Dean and Xavier Prince would each add two points, on the way to a 60-28 lead after three quarters of play. With the outcome all but decided, the Raiders would ultimately shatter their previous season high that stood since their season opener. 15 of the Raiders’ 19 points in the 4th quarter would come from behind the arc, with Nick Wallace hitting one from long range, Cooper Davis hitting back-to-back triples, sophomore guard Jaydon Porter adding one from downtown late, and Davis adding one more for the road in the game’s final seconds. Junior guard Andree’ Mock and sophomore guard Zaveon Croff would each add two points of their own to round out the 4th-quarter scoring for Reynoldsburg, who would blow out Grove City by a score of 79-43 for a sweep of the regular-season series. Fort, Moore, and Willoughby each scored in double figures and had 39 combined points, while Davis’ three triples in the final period put him close behind with 9 points. Prince and Wallace each had 8 points along with 6 points for Strickland, 3 points for Porter, and 2 points each for Croff, Dean, and Mock in arguably Reynoldsburg’s best performance of 2018-19. Most notably though, Reynoldsburg hit a season-high twelve buckets from downtown in what was easily their best backcourt performance of the season. It was, indeed, a nice night for the Burg. With their dominating win over Grove City and sixth straight victory, the Raiders would improve to 13-3 on the season overall and 5-2 in the OCC-Ohio division. On a chilly night in Reynoldsburg with the polar vortex beginning to engulf the entire Midwest, the Raiders would try to remain hot to close out January against crosstown foe Whitehall. In a highly anticipated Battle of East Broad Street, the game would be tied 16-16 after a high-scoring 1st quarter, but the Rams would take control of the game in the 2nd quarter to go up by 33-25 at the break despite 9 points by Sahmi Willoughy and 8 points (and two triples) by Josiah Mobley to lead the Raiders. Whitehall would then open the 3rd quarter with two baskets with a bucket by Xavier Prince in between to take a 37-27 lead over Reynoldsburg with 6:49 left in the period, and the Raiders appeared to be in trouble in front of a nervous home crowd. But for the third time in as many seasons, a double-digit deficit in the second half proved to be no problem for the unphased Raiders to overcome. The Raiders would eventually erase Whitehall’s big lead and dominate on both ends of the court when it mattered most. Mobley would hit two big buckets from downtown on back-to-back possessions to quickly cut the Rams’ lead to four, while Nick Wallace would add a triple of his own following a jumper by Whitehall to get within 39-36 with 5:45 left in the period. The Rams would then split a pair of free throws after a foul on Xavier Prince of the Raiders, but Ben Fort would get a layup plus a foul, miss the ensuing free throw, get the ball back after the Raiders rebounded the missed attempt, and make a go-ahead three-pointer to put the Raiders up 41-40 with 3:47 left in the 3rd quarter. After Whitehall responded with two quick buckets to go back in front by three, Shon Strickland would score at the other end, and Sean Moore would score seven straight points to put Reynoldsburg ahead for good, giving the Raiders a 50-44 lead going into the final period. The Raiders would score 25 points in the 3rd quarter alone after scoring that many in the entire first half. They would then slow down the game and take control in the 4th quarter, and Whitehall would get no closer than four points the rest of the way. With the Raiders up 52-48 with 6:07 to go, Reynoldsburg would eat two minutes off the clock, but would settle for a split pair of free throws by Willoughby after drawing a foul following a rebound of a missed three-pointer by Fort. The second free throw was missed but rebounded by the Burg, and twenty seconds later, Nick Wallace would hit a clutch three-pointer from behind the right corner of the arc to force a timeout with 3:47 to go and the Raiders leading 56-48. Whitehall would only be held to two layups the rest of the way, and Reynoldsburg would hang on for a 59-52 come-from-behind victory after outscoring the Rams 32-15 in the final 14:49 of regulation. With their comeback win against crosstown rival Whitehall, the Raiders improved to 14-3 on the season overall and extended their win streak to seven games. Despite classes being cancelled across Central Ohio for three consecutive school days leading up to this contest due to the weather, including lots of snow and a Level 2 Snow Emergency in Fairfield County on the morning of Friday February 1st, it ultimately didn’t stop a highly-anticipated Battle of 256 rematch to happen at Pickerington Central as scheduled. With the Raiders one game behind the Tigers in the OCC-Ohio division standings, this was a critical game for both teams’ quests for a division title, and Reynoldsburg was eager to get revenge after a 52-45 loss to these Tigers back in late December: their only home loss of the season. And in this primetime Friday Night rivalry matchup, cheers erupted, hands were raised, strong physicality was present, and fans were on the edge of their seat the whole time. But in a hard-fought, defensive, and physical battle, the Raiders came up just short. Back in their December meeting, Xavier Prince would have the ball stolen from him late in the first half, leading to a breakaway dunk and the Tigers basketball players raising their hands up and down in unison on Reynoldsburg’s home floor. It seemed like this was fresh on the mind of Prince even a month and a half later, though, as he would drive through every Tigers defender to the basket on the game’s opening play for a one-handed flush to immediately set the tone for this highly-anticipated matchup, giving the Raiders a 2-0 lead right away and resulting in hands going up and down from a lot of the Raiders faithful in attendance. However, the Tigers would respond with six unanswered points in the next two and a half minutes before Sean Moore broke the Raiders’ scoring drought from down low, putting the Burg down 6-4 with 5:16 left in the opening quarter. Sahmi Willoughby would then get on the board with a layup to tie the game, but after both teams scored on their next possessions with Ben Fort getting on the board with two free throws to tie the game at 8-8 with 3:29 left in the period, Pickerington Central would hold Reynoldsburg scoreless for the remainder of the quarter. However, even despite the Raiders coming up empty, they would only hold the Tigers to six unanswered points in this time span thanks to continued great play on defense, including two big rebounds in heavy traffic by junior guard James Dean, and Reynoldsburg would only be down 14-8 after the 1st quarter came to an end. Reynoldsburg’s defense turned up the heat even more in the 2nd quarter, and they would only allow a single Tigers field goal in the first seven minutes of the period. As a result, the Raiders would have all of the momentum in the period. Even though the Raiders would not break what ended up being a scoring drought of 4:43 until just over a minute went by in the 2nd quarter, Fort would score the first of his seven points of the period on a layup with Tigers defenders all over him to begin what ended up being an 11-3 scoring run for Reynoldsburg, including a deep three by Fort that would be Reynoldsburg’s only three-pointer of the half. A pair of free throws by Moore would give the Raiders a 19-17 lead with 1:09 to go in the half, which was Reynoldsburg’s first lead since Prince’s dunk to open the contest. Pickerington Central, however, would quickly answer with a bucket and a free throw after Willoughby’s second foul with 51.7 seconds to go in the half to go up by one over the Raiders, and a three-point attempt by Prince as time expired in the half rimmed out. As a result, the Raiders would trail 20-19 after a wild and physical first half on the road. Fort would lead the Burg with 9 points, while Moore would have 4 points, and Prince, Shon Strickland, and Willoughby would each add 2 points. A back-and-forth 3rd quarter with six lead changes in as many minutes to open up the period would then ensue, including on a successful shot from behind the arc by Nick Wallace with 4:19 to go in the 3rd quarter. The Raiders would go up 26-25 at this point as a result of what was only their second three-pointer of the game. Pickerington Central would lay it in at the other end to go back in front by one, while a dunk by Moore would quiet down the home crowd for an emphatic Reynoldsburg answer to go up 28-27 with 3:15 left in the period. He would then commit a foul that would result in a split pair of Tigers free throws and a tie game, and Pickerington Central would retake a 30-28 lead on a layup leading to a timeout with 2:12 left in the 3rd quarter. They would unfortunately not trail against Reynoldsburg again for the rest of the game. A dunk by the Tigers following the timeout would extend a burst of what would be seven unanswered points by Pickerington Central in the next minute to go up 35-28 with 1:08 left in the quarter, and they appeared to be in a position to blow the game open with another breakaway slam on their next possession. The Tigers would mess up the dunk, leading to Willoughby hitting a pair of free throws at the other end after drawing a foul for a huge four-point swing in favor of Reynoldsburg. Although the Raiders would only trail 35-30 at the end of the quarter as a result, the Tigers would take advantage of turnovers and missed shots by Reynoldsburg and open up the 4th quarter with seven more unanswered points. Pickerington Central, currently on a 15-2 scoring run over the past six minutes going back to the previous quarter at this point, would call a timeout with 5:22 to go in regulation with a 42-30 lead over Reynoldsburg at this moment. The Raiders would not go away, however, as Fort and Moore would each score in the paint on back-to-back possessions, and Prince would score a basket and one to cut Pickerington Central’s lead to 42-37 with 3:20 to go. The Tigers would score a basket after drawing a foul from Willoughby and miss the ensuing free throw, but a good look from three-point land by Josiah Mobley would not fall. Trailing 44-37 with 2:30 to go, however, the Raiders would get the rebound of Mobley’s missed three, but ultimately would turn the ball over on this possession. The Tigers would hit a pair of baskets with Fort hitting a very long three-pointer in between, but Reynoldsburg would again turn the ball over down by eight points, and a pair of free throws by Pickerington Central following a resulting foul by the Burg would put the Raiders down 50-40 with 1:24 to go. Reynoldsburg would not quit, though, and would go on a 10-4 scoring run in the next 1:17 to cut Pickerington Central’s lead to four. However, only seven seconds remained after what ended up being a putback by Prince for Reynoldsburg’s final points, and the Tigers would close the game out with two more late free throws for a 56-50 victory over the Raiders. Pickerington Central would sweep their regular season series against the Raiders for the fourth straight season as a result. With their loss to Pickerington Central, the Raiders would have their seven-game winning streak snapped and fall to 14-4 overall and 5-3 in the OCC-Ohio: two games behind the division-leading Tigers with two division games left to go. The Raiders would return to the Burg for a Senior Night matchup against Central Crossing for the third consecutive season in search of a bounce-back victory. While Reynoldsburg secured victories over the Comets in each of their previous two meetings, the Raiders would win these games by a combined eight points. This included a rally from 16 points down (and 12 points down in the 4th quarter) for a 64-62 home victory by the Burg in the 2016-17 regular season, and most recently, a low-scoring 42-36 February road win late in the 2017-18 regular season. In both of these games, the Comets would capitalize off of slow starts by the Raiders before Reynoldsburg ultimately pulled away. On Senior Night in 2018-19, there was no slow start this time for the Burg. After a bucket and one by Nick Wallace to open up the scoring, the Comets would drill a three-pointer and what seemed like one of their numerous buckets in the paint to go up 5-3 over the Burg just under two minutes into the game. Sean Moore would then hit from long range with 5:25 left in the opening quarter to put the Raiders back in front and for good, as Reynoldsburg would capitalize in transition against a very tall Comets team. They would score 11 unanswered points in two minutes mostly on fastbreaks before calling timeout after a pair of buckets by Wallace, putting the junior guard at nine points early for the Burg. The Raiders would call timeout with 3:20 left in the opening period up 14-5 over Central Crossing, who would only manage two more buckets in the quarter. As a result of a three-pointer by Josiah Mobley and a pair of free throws by Sean Moore and Xavier Prince, Reynoldsburg would take a 21-9 lead after one period. Central Crossing would make things interesting in the next quarter, however. After the Raiders extended their lead to 26-12 with 5:05 left in the second period on a shot from downtown by Ben Fort, they would go cold at the hands of a Comets frontcourt that dominated the paint to close out the quarter. Reynoldsburg’s only other bucket in the period would eventually come on a fastbreak bucket by Prince with under a minute left in the period, as Central Crossing would cap a 12-2 scoring run to end the period with a late bucket and one, cutting Reynoldsburg’s lead to 28-24 at the break. Fort, one of three seniors honored prior to the game and the only starter remaining from Reynoldsburg’s two prior seasons, would then extend his team’s lead back to seven on a three-pointer early in the 3rd period. “It was really important, and I feel we needed to get the win for our Senior Night and the rest of our players,” Fort said of his team’s eventual victory. While the Comets would eventually get back within three, Reynoldsburg came alive, and its 12th graders ended up fittingly stealing the show on their Senior Night. Prince would four points of his own late in the third period, including on a breakaway dunk to put the crowd on its feet to extend Reynoldsburg’s lead to 39-31 to close out the 3rd quarter. Moore would then score on a layup to open the final period, and Wallace would reach double figures after his first bucket since the 1st quarter to put the Burg up 43-31 with 6:32 to go. Fort would then add a breakway dunk under a minute later, and Central Crossing would eventually get on the board in the final period with 4:30 to go. With the Raiders up 45-33 at this point, and after a two-minute time span of no scoring by either team, the three Reynoldsburg seniors would each score to close out the game on Senior Night in a very fitting sequence. After a pair of free throws by Prince, Sahmi Willoughby would then throw down a two-handed jam of his own to cap off a second half in which all three seniors had highlight-reel worthy dunks. This night was even more special particularly for Willoughby, though. Shortly before the game, Willoughby would announce his commitment to Marietta College to cap off what has been a breakout first varsity season for the senior forward. After sitting out in the team’s season opener due to injury, he has been a monster in the frontcourt in his 18 games as a varsity starter. His defensive presence particularly in the frontcourt and the paint has helped lead a Raiders team that has allowed an OCC-Ohio division best 46.5 points per game on average through 19 regular season games so far, which is also second best in the entire in the stacked Ohio Capital Conference. With roughly two-thirds of the 2018-19 varsity roster being first time players at the varsity level, including Willoughby, his leadership certainly has had a positive impact on the entire team. But he and fellow seniors Prince and Fort have also been playing with each other for much longer, and their chemistry and leadership has definitely carried on downwards to the younger players. The only team better defensively in terms of average points per game allowed? That would be undefeated Hilliard Bradley, who is ranked #3 in the AP Ohio Division I Boys Basketball Poll, and their ridiculous 39 points per game allowed on average as of 2/7/2019. At the end of the night, the Raiders would win 55-41 over Central Crossing on Senior Night, and had four players in double figures. Fort would lead the way with 15 points, while Wallace would add 12 points, Moore would add 11 points, Prince would add 10 points, Willoughby would add 4 points, and Mobley would add 3 points to round out Reynoldsburg’s scoring. With their Senior Night win over Central Crossing and eighth victory in nine games, the Raiders would improve to 15-4 overall with three regular season games remaining. While the Raiders would end up losing in another close heartbreaker to arch-rival Pickerington Central to snap their winning streak prior to bouncing back against Central Crossing, they currently sit at 15-4 overall and 5-3 in the OCC-Ohio division heading into the home stretch of a 2018-19 season that has certainly exceeded expectations of those outside of the Burg. This program, however, is no stranger to this level of success this late on the schedule. In 2016-17, Reynoldsburg squad would finish their regular season 16-6 overall and 5-5 in the OCC-Ohio on the way to a district semifinals appearance. Reynoldsburg has already matched the amount of regular-season wins of last season’s 2017-18 team, who would finish 15-7 overall and also 5-5 in the OCC-Ohio in the regular season before a remarkable postseason run on the way to Reynoldsburg’s first district title in six years. They would be eliminated in the regional semifinals by a Hilliard Bradley team that is currently undefeated this year and best in the Ohio Capital Conference in points per game allowed on average (39) as previously mentioned, and Reynoldsburg would finish last season with a 19-8 record overall. Going back to that 2016-17 season, Reynoldsburg is has an unbelievable record of 52-19 overall, which includes a 6-2 record in the postseason, despite a very loaded schedule in this span and senior guard Ben Fort being the only current player who started both last season and the one prior. His prior experience has definitely led the way for the team’s younger players. This is especially worth noting given Reynoldsburg’s OCC-Ohio division will potentially have at least half of its teams, including the Raiders, in contention for top-ten seeds in the district playoffs in a stacked Central Ohio Division I pool when seeds are revealed in the tournament draw this weekend (Sunday 2/10/2019, 2:00pm). Given that a lot of people outside of Reynoldsburg’s locker room did not have high expectations of the Raiders going into this season, especially after the team graduated nine seniors at the conclusion of 2017-18 and having roughly two-thirds of the current roster being first-time players at the varsity level, Reynoldsburg definitely flew under the radar heading into 2018-19. Reynoldsburg head coach Scott Davis, his coaching staff, and his players have responded with arguably one of the program’s most impressive regular season starts in recent memory. However, the story of the second half of the 2018-19 regular season has been the drastic improvement of Reynoldsburg’s backcourt to complement its powerful frontcourt. While Reynoldsburg’s defense has continued to be a consistent force to be reckoned with, with the Raiders allowing 46.5 points per game on average through 19 games, Reynoldsburg’s offense has continued to improve in the second half of the regular season. As a result, the Raiders’ average margin of victory overall is in the double digits, and their recent scoring average is much better than their average in the first 11 games of the regular season. Even despite a tough outing on offense all around at Pickerington Central in their loss in what ended up being a defensive showcase from both teams, the three-point shooting that was noticeably absent to begin the season has come to life at the perfect time for the Burg. Given their consistent success in the frontcourt all season with crashing the boards and scoring from down low, as evidenced by performances like in their 56-40 win against New Albany where the Raiders only went 2-for-10 (20%) from three-point land, the emergence of Reynoldsburg from behind the arc has turned the Raiders into a dangerous two-headed monster. Sophomore guard Josiah Mobley and junior guard Nick Wallace have particularly been on fire from long range since their 59-35 home win against Lancaster, when the Raiders shot 8-for-14 (57%) from behind the arc in that game with Mobley accounting for three long-range buckets by himself. His son, freshman guard Cooper Davis, has also been hot off the bench this season, making 10-of-22 (45.4%) of his shots from behind the arc on the season prior to Reynoldsburg’s game against Whitehall. However, consistent performers in the frontcourt have also been knocking down shots from long range when called upon as opposed to in the paint, giving the Raiders a new dangerous element to their improving game on offense. But even more importantly, the team’s chemistry has been a really big factor to their success, especially given how many players moved up to the varsity level in 2018-19. Three of Reynoldsburg’s five juniors on this varsity squad: James Dean, Andree’ Mock, and Shon Strickland, each were key wide receivers coming off a historic football season prior to the start of basketball season. In fact, each of them find themselves on the floor at the same time very often during key stretches of basketball games, locking down the perimeter on defense plus creating opportunities for buckets on offense along with points of their own. Nick Wallace and Sean Moore, the other two juniors who have been regular starters, round out a junior class for the Burg (with the most grade-level representatives on this squad) that works extremely well with each other and the rest of their fellow Raiders teammates. Most importantly, they play with and for each other in all phases of the game, which certainly gives each player peace of mind knowing that they will have help at any given moment, especially with how short of a team they are on average despite their tall frontcourt. This has been really huge for a Reynoldsburg squad with four first-year varsity starters overall and two thirds of its roster being upperclassmen: most of whom did not see regular playing time at the varsity level up until this season. As regular season nears what looks to be a thrilling conclusion, the Raiders have certainly emerged as viable contenders to repeat as district champions, and with under a week to go until the tournament draw, Reynoldsburg will look to be a very high seed for the third consecutive year. 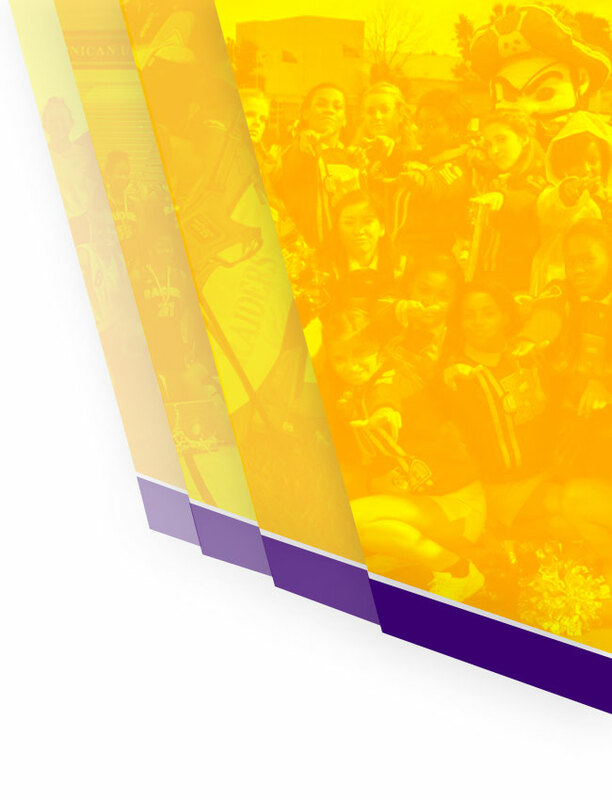 But no matter what happens the rest of the way in 2018-19, given what this team has accomplished so far, these kids are already leaving their mark on Reynoldsburg’s program. And with a massive amount of this year’s players returning next season who had playing time at the varsity level, including potentially three starters as opposed to only one starter heading into 2018-19, the future is certainly bright for Reynoldsburg Boys Basketball. Maybe that future will include some big trophies along the way. The 56-50 loss at Pickerington Central (18-1, 7-1) definitely was a tough pill to swallow for Reynoldsburg (15-4, 5-3). A win for the Burg would have resulted in a tie between the Tigers and Raiders in the division standings, and would have kept the Raiders in control of their destiny for at least a share of the OCC-Ohio division title. Instead, the Tigers, who are ranked #4 in the AP Ohio Division I Boys Basketball Poll, have a two-game lead over the Raiders with two division games remaining. One more win by Pickerington Central in their final two division games would mathematically eliminate Reynoldsburg from contention for a division crown. Pickerington North (15-4, 7-1) is also two games ahead of the Raiders in the division standings heading into Reynoldsburg’s Senior Night rematch. One more division win by the Raiders in their two remaining division games would guarantee the Burg no worse than a third-place finish in the division, while a win by the Panthers would keep them in control of their destiny for at least a share of the division title. Gahanna-Lincoln (13-7, 3-5) and Grove City (9-10, 1-7), who were both swept by the Raiders in their regular season meetings, are mathematically eliminated from division title contention in addition to Lancaster (5-14, 1-7), who the Raiders will play once more in their regular season finale. The OCC-Ohio division’s best defensive team in terms of points per game allowed versus the OCC-Ohio division’s best scoring team on offense in terms of points scored. And the overall Ohio Capital Conference’s second-best defensive team of the aforementioned nature in Reynoldsburg versus the third-best scoring team of the aforementioned nature in Pickerington North. Something has to give in the Burg. The Raiders (15-4, 5-3) will have an opportunity to split the regular season series against division and crosstown foe Pickerington North (15-4, 7-1). In their 64-52 road loss on 1/4/2019, the Raiders would rally from 14 points down late in the first half to eventually go up 33-32 with under a minute left in the 3rd quarter. However, the high-scoring Panthers would score five straight points to end the period and would not trail again. Even more, they would ultimately explode for 32 points in the final ten minutes of regulation after being held to only 32 points in the twenty-two minutes prior, and Pickerington North would pull away for a game-ending 32-19 scoring run. The 64 points allowed by the Raiders is a season high to this date. And these Panthers are certainly not intimidated by win-loss records of their opponents. Pickerington North is still the only team to take down Pickerington Central this season, winning at Central 65-55 on 1/18/2019 to begin a streak of six wins in seven games. This included a 92-63 blowout home win against a now 17-2 Canal Winchester team that has been one of Central Ohio’s top Division I squads this season in terms of their record and particularly their scoring offense. The Panthers have scored an average of 74.1 points per game on offense, just over 17 more than the Raiders’ scoring average. This output by Pickerington North is good for best in the OCC-Ohio division and third-best overall in the entire Ohio Capital Conference only behind Canal Winchester (75.6) and undefeated Dublin Coffman (77.7), who is ranked #2 in the AP Ohio Division I Boys Basketball Poll. Even more, Pickerington North has only allowed an average of 55.5 points per game on defense over the course of the regular season, and their six victories in their last seven games have been by an average margin of 25 points. However, Reynoldsburg held Pickerington North to only 62 points, well below the Panthers’ overall scoring average, in their aforementioned road loss on 1/4/2019. One key player to watch for Pickerington North is sophomore Jack Sawyer: the OCC-Ohio division’s leading scorer who is averaging nearly 22 points per game through the Panthers’ 19 games according to 270 Hoops. This is even despite being held to only 13 points by the Raiders earlier in the season in their loss at Pickerington North. Tip against the Panthers on will be at 7:30pm on Friday February 8th, 2019 at the Summit Campus of Reynoldsburg High School following the conclusion of the Lady Raiders and Lady Panthers, who will tip at 6:00pm on the same floor. 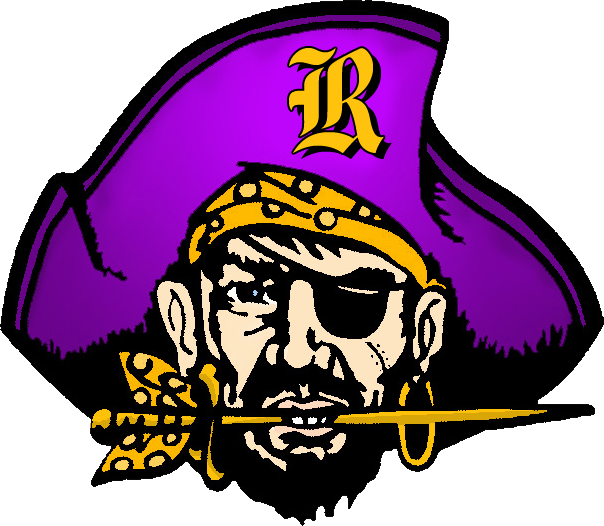 Follow @ReynoldsburgBB and @ReynoldsburgGBB on Twitter for play-by-play updates during game days and all things pertaining to Reynoldsburg Raiders Boys and Girls Basketball.